Watch the traffic on your mailing list(s) and on the various support forums. The people that are asking the most questions are often great potential contributors. They are using the project, so they are invested in its success. They are experiencing problems with it, so they know where there are problems that need to be addressed. And they are outspoken enough, or brave enough, to talk about their difficulties publicly, so they are likely to be just as willing to talk about their solutions. These are usually good people to approach ask ask to write about their user experience. This can often be done collaboratively, combining their questions with the eventual answers that they encountered. If they appear to be the type of person who is implementing solutions to their problems, ask them to bring those solutions back to your community for inclusion in the code. In RDO, people that participate in the rdo-list mailing list will sometimes end up contributing their solutions to the project, and eventually becoming regular contributors. We probably need to do a better job of encouraging them to do this, rather than just hoping it’s going to happen on its own. In watching the question-and-answer on ask.openstack.org I often see names I don’t recognize, answering questions related to RDO. Sometimes these are Red Hat engineers who have recently joined the project, and I haven’t met yet. But sometimes, it’s people from outside of Red Hat who have developed expertise on RDO and are now starting to pay that back. These are the people that I then try to approach via the private messaging feature of that website, and ask them what their story is. This occasionally evolves into a conversation that brings them to more active involvement in the project. Most people like to be asked, and so asking someone specifically if they’d be willing to come hang out in the IRC channel, or answer questions on the mailing list, tends to be fairly effective, and is a good step towards getting them more involved in the project. The trick here is to recognize that people usually take the trouble to complain because they want it to work and they’re looking for help. This passion to just make things work can often be harnessed into contributions to the project, if these people are treated with patience and respect. Patience, because they’re already frustrated, and responding with frustration or defensiveness is just going to make them angry. Respect, because they are trying to solve an actual real world problem, and they’re not just there to hassle you. It’s important that you fix their problem. Or at least, try to move them towards that solution. Once the problem is addressed, ask them to stay. Ask them to write about their situation, and the fix to it. Ask them to stick around and answer other questions, since they have demonstrated that they care about the project, at least to the point of getting it working. When people complain about your project, you also have a great opportunity to brush them off and persuade them that you are uncaring and unwelcoming, which they will then go tell all of their friends and Twitter followers. This can be a very expensive thing to do, for your community. Don’t do that. When people come to #rdo on Freenode IRC to ask their RDO and OpenStack questions, I frequently (usually) don’t know the answer myself, but I try to make an effort to connect them with the people that do know the answer. Fortunately, we have an awesome community, and once you bring a question to the attention of the right person, they will usually see it through to the right solution. 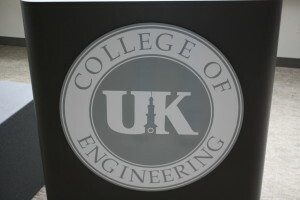 Yesterday I spent the day at the University of Kentucky at the OpenStack 6th Birthday Meetup. The day was arranged by Cody Bumgardner and Kathryn Wong from the UK College of Engineering. UK has an OpenStack cloud that they use for instruction, as well as for research, and they’ve got a 6PB Ceph cluster hanging off of it. There were presentations about the various aspects of this cloud, and how it’s being used. I gave an introduction to OpenStack – the Foundation, the software, and the community – for the attendees that were just getting started. Patrick McGarry gave a talk about how Ceph works. Nassir Hussamddin closed the day with a really cool presentation about CloudLab, which is a tool shared by a number of universities that allows users to spin up an OpenStack cloud (not just a VM, but an entire cloud) on demand for testing purposes. Definitely worth looking into further. Big thanks to Dell, the University of Kentucky, and the OpenStack Foundation, who, along with RDO, sponsored this event.